Just to be honest, I am not a helicopter pilot as the picture may elude to but I do believe in lifting peoples confidence to help them feel better inside and out. My goal is to lift your spirits, raise your confidence to bring you to new heights, face new challenges and help you showcase that beauty and power you possess to the world without wasting your precious time. 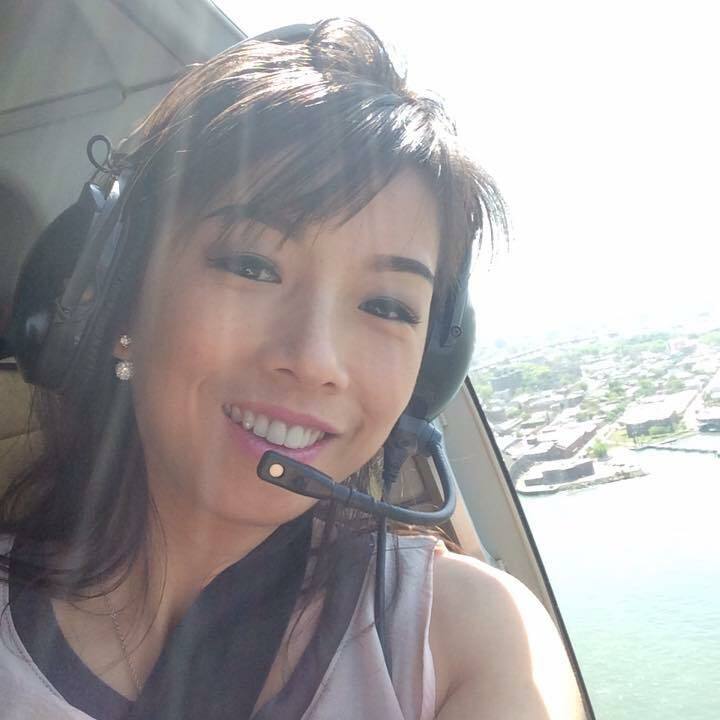 My name is Hue Hoang Lam, but you can call me Yenny- its easier! What is not easy is to write and its much more harder when you have to write about yourself so forgive me if I put you to sleep but its always easier to go to someone you know and like- as opposed to a stranger or someone you dislike. So let me try to tell you a little about myself to help you decide if I can have the opportunity to work with you in achieving your beauty goals. I am a mother to 3 amazing kids, a partner to an even bigger kid (my man) and I am also a business owner. I bounce from dance, gymnastics, soccer, recitals, Costco, Walmart, meetings, suppliers, school functions, Superstore, accountant, business meetings and oh.. did I say Costco? It is the quintessential definition of your modern woman, I understand the delicate balance between life, home and work. It's always tipping one way or another and somewhere in between all those commitments and events there has to be a balance with time for others, family and yourself. Time, it is truly a precious commodity. Time is always passing by and something you can never get back, in our last moments it is time that we wish for more. I wish for more time with family, time with my kids, time with my man and even time for myself. I also understand that in those times of skipping from school to activity; to grocery; to bank; to meeting; to work; etc.. etc.. and feeling not done up, hair up, comfy clothes on, no makeup and generally in commando mode we never truly feel complete, confident or beautiful. Don't get me wrong, I am not saying we need to be beautiful and done up for for the world and other people- its not about them but about you and how you feel about yourself. You know that feeling, when you get your hair, nails and makeup done, all dressed up in a new outfit and ready for a fancy night out- you feel you look your best... that feeling. I want you to have that feeling not just when you have a once in a blue moon fancy dress up night out- I want you to feel that way all the time but not waste your precious time drawing your eyebrows, eyeliner, curling your lashes, applying lipstick and putting on makeup. Time well spent because it makes you feel amazing, but time you can't get back. Ladies, yes.. I am passionate about beauty- but I am also passionate about time for the people we love and that list of people includes you, love yourself as well. I want you to know when you come to my clinic, we don't just offer you eyelash extensions, gel nails, waxing, microblading and cosmetic tattooing but I want to offer you time. Can you imagine if you Woke up Ready, lashes on point, makeup on and brows ready- what would you do with that extra time? So you've come this far, now comes the history lesson (aka boring technical part). I have been doing Esthetics for over a decade and Certified by Alberta Beauty Systems as a Nail Technician, Eyelash Extension Technician and Waxing Technician. I am 100% OCD and a perfectionist, I pay attention to every detail and my poor family knows this better than anyone else. I am a neat freak, I am the person that sits down at a restaurant and adjusts the cutlery on the napkin if its out of place. This attention to detail and quest for perfection is what has earned me the trust of my clients, a loyal following, respect from my peers and the birth of Lamorous Beauty Clinic. But let's start with a little history. After doing my time in an upscale salon I eventually ventured out on my own opening Yenny's Home Spa with a handful of clients and a mound full of stress (lots of openings in my schedule). 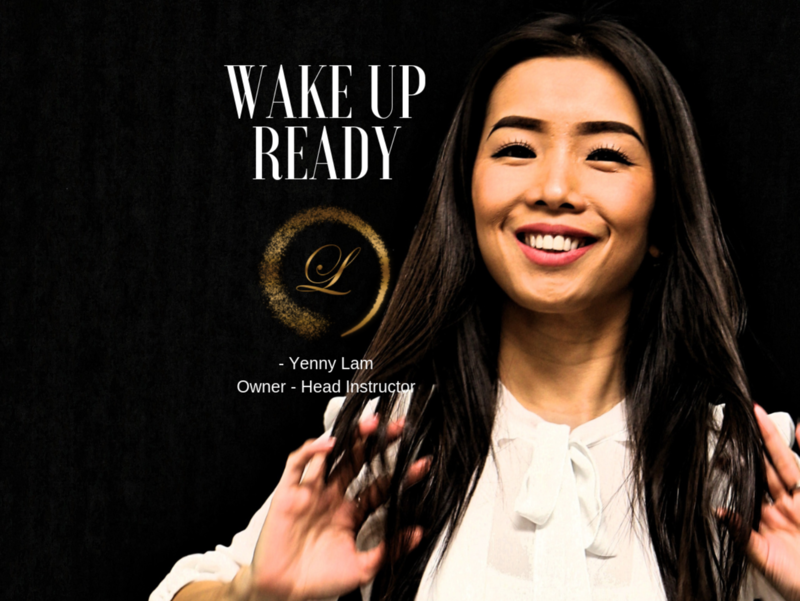 It was a leap of fate, my clients believed in me but I still had to believe in myself but after 20,000+ hours; thousands of procedures and countless clients earned through referrals Yenny's Home Spa thrived... it was time to grow and take the next leap. After countless hours and clients I travelled across the ocean to complete my Master Class in Microblading and received the Most Talented Award - Master Class from the Ksenija Karabegovic Academy. I also became a Certified PMU Pro Artist from the Microblading World Association which meant a lot to me as this was earned from my peers around the world working in the industry of PMU (Permanent Makeup). I believe in life long learning, always seek the best you can. My greatest fear is unfulfilled potential so back to the books I went and became Certified with Girlz Ink and their Li-Pigments LI-FT course. A no laser method of tattoo removal to offer my present and future clients. This is me and Lamorous Beauty Clinic in a nutshell, clients come in as a customer but leave as a friend. I have learned so much about life, family and career from my clients with a listening ear and a truly honest, open and genuine conversation during our appointments. I hope one day to meet you and earn your trust, if you want to know more please use the contact us form on the website to ask any questions or concerns you may have. You may also email, call or stop in to visit- hope to see you soon!